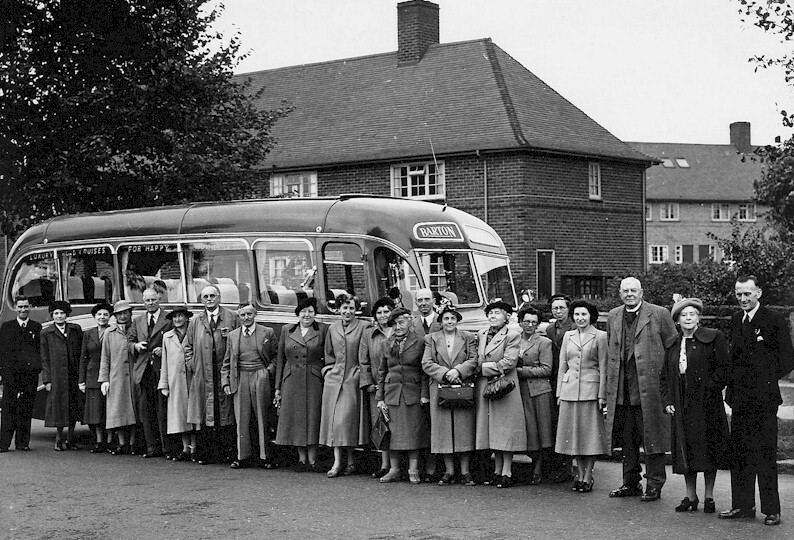 Barton Transport was one of the pioneers of bus touring, its "Road Cruises" started in the early 1930s and had been extended to tours on the Continent by 1936. After World War 2 this was resumed and became very popular - as did the tours to UK resorts and beauty spots. 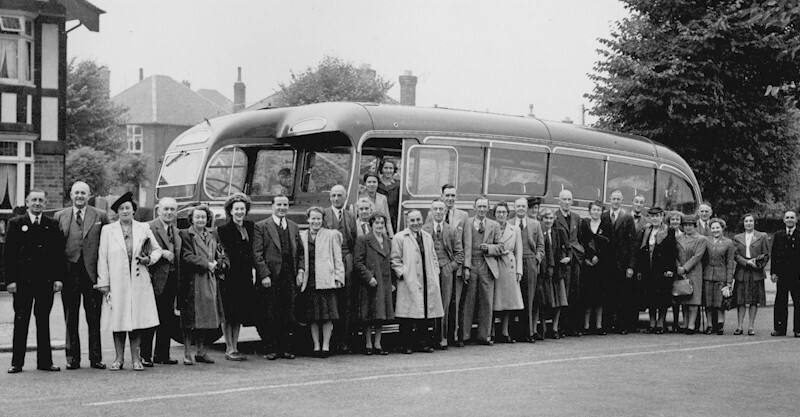 It became the custom to photograph each group as they gathered for departure. 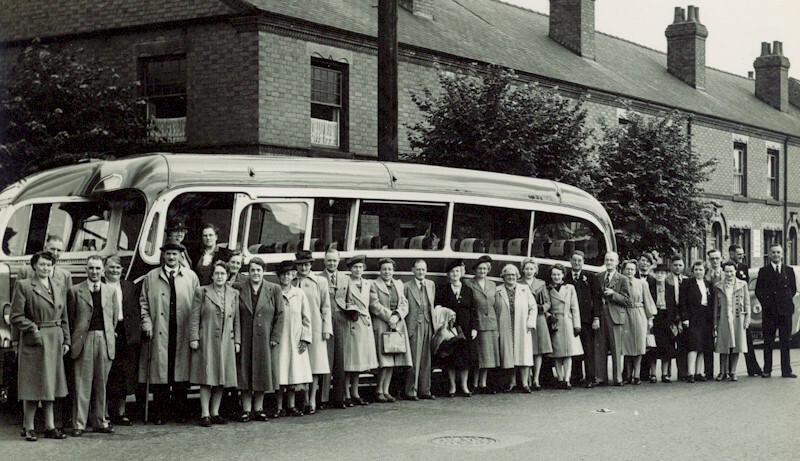 This group, probably of a UK tour, probably dates from the 1950s and seems to have been photographed on Woodside Road, Lenton Abbey. Marjorie Elliott is 9th from the left. All are from photographs left by the late Dorothy and George Peel, whose family photograph archive passed to David Hallam, their nephew. 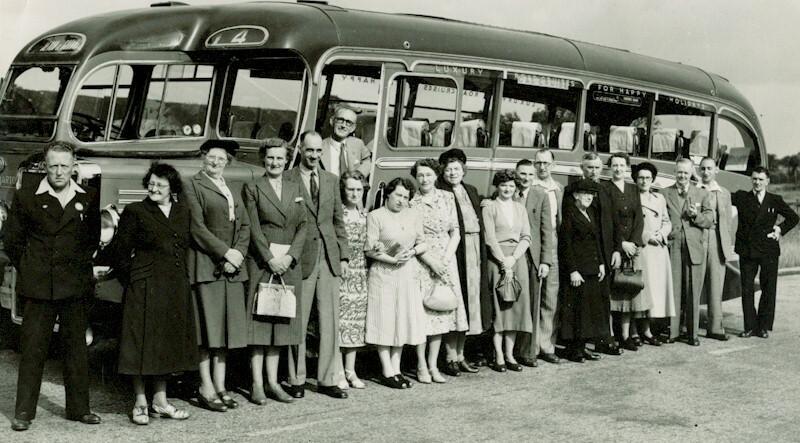 Dorothy & George regularly went on Bartons tours in the UK, They appear on each of the photographs shown below. George Peel as slighly to the right of centre with his hand in his pocket with Dorothy next in a light coloured coat.